When I learned how to solder copper pipe, I learned by trial and error. Take it from me, learning by trial and error only gets you frustrated, upset and quite a few molten solder burns on your hands. I will take you through the steps needed to make a beautiful, water tight seal the first time. Make sure your torch is hot! Make sure the copper is clean! Ensure the pipes are dry! As long as these simple yet critical steps are taken, you will have no trouble at all learning how to solder copper pipe. Before I show you how to solder copper pipe, I think it would be a good idea to go over the tools you will need for soldering copper. It is always a good idea to have a fire extinguisher nearby! 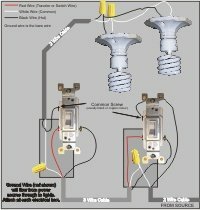 Now that you have your tools, let's learn some soldering techniques. Cut your pipe to size using the tube cutter. Do this by lightly clamping the cutting wheel around the pipe and rotate the cutter around the pipe. Tighten the cutting wheel every other turn. Once the pipe is cut, you will notice a burr on the inside of the pipe. Use the built in reamer to cut away the burr so the inside of the pipe is smooth. Clean the outside of the pipe using the emery cloth. It won't take much effort, just clean it enough so it looks polished(shiney). We also need to clean the inside of any elbows, "T's", joiners, valves etc... You can clean the fittings by either rolling up some emery cloth and rubbing it in the hole or you can buy a small wire brush that is designed to fit the diameter of the fitting. As I said before, when I show people how to solder copper pipe... get that fitting good and clean! Once everything is cut and clean, I like to "dry-fit" all pipes, elbows, joiners, etc... before trying to solder them together. I find this to be an important step to ensure everything goes together as planned. 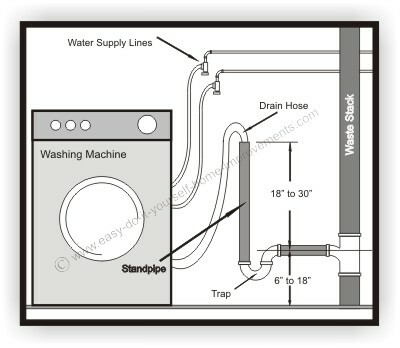 If you can mark how the fittings are attached to the pipe using a marker, do it. This will help when you take the pieces apart to apply the flux and solder. I always find it easier to solder pipes and fittings if they are horizontal. If your job allows you to solder "out-of-place" and install large fully soldered pieces, I would recommend that. If not, you can solder it in place as well. 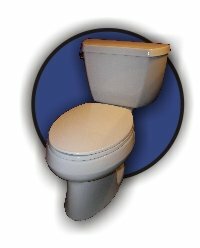 Once you are happy with the way everything fits together, remove the fittings and apply a thin layer of flux around the pipe and inside the fittings. Re-build your piping system exactly the way you had it before (hence the markings) and roll out about 5 inches of solder off the roll and straighten it. 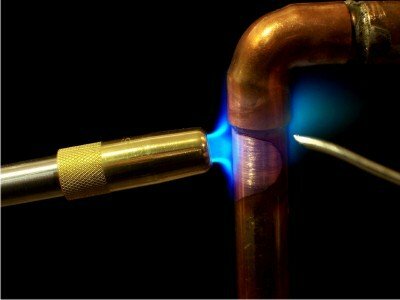 NOTE if you are trying to solder a valve, keep in mind that it will take quite a bit longer to heat up than the copper. Oh, and keep the valve open. If you are using MAPP Gas (usually in a yellow tank) keep in mind that this gas burns a heck of a lot hotter than Propane Gas (usually a blue tank). Heat the joints by gently moving the flame back and forth over the joint. Once the flux starts sizzling or boiling, touch the joint with the end of the solder using the roll as a handle. Once the solder "disappears" into the joint, remove the flame and run the solder around the pipe to ensure you will have a good seal. When the solder start to drip out at the bottom, you have completed the joint. Grab your wet cloth and wipe the joint clean. Be careful not to move the joint when wiping the hot copper. The solder will seal when it cools. Not too bad, eh? Now you can show your friends how to solder copper pipe.